Merlin, The Queen of Sheba and a drunken ant were walking across a desert. Although it was a stinking hot day, although it was a very big desert, although the ant hadn&apos;t had any breakfast, they were all in a very good mood. Why? 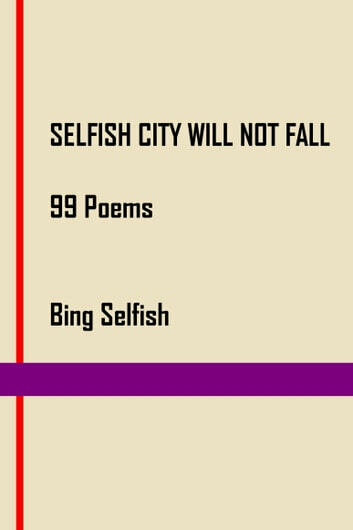 Because before setting off they had all gathered around a mossy mound of mouldy car tyres and used bus tickets and read out loud the mesmerising verse contained in the magic volume of poems known as &apos;Selfish City will not fall&apos;. 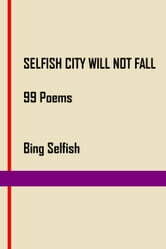 These poems will have exactly the same effect on you. They will completely transform your life. “After reading this masterpiece, my spells improved 100%” - Merlin. Ever since the early eighties, on stage, in song, comic and film Bing Selfish has been expanding our imaginations and angrily snapping at the prim ankles of convention and conformity. Join him now as he slaps words about like nobody&apos;s business.